‘Tis the season of prospect rankings! With many sites publishing real-life top 100 prospects lists, it is about time for a fantasy top . . . 500 prospects list! The 2019 Top 500 Fantasy Prospects represents the culmination of nearly three months of positional prospect rankings (links below). To see where the prospects below now fall in the overall rankings, you can obtain access to the updated (January) Top 600 Dynasty League Players with a small donation. Note, however, some prospect rankings have changed since I updated the Top 600. These rankings account for a 16-team league with a standard, 5-by-5 scoring format. Two extensive tiers exist between 193-336 and 337-480. The final twenty prospects are my favorite underappreciated, elite performers. I also may have specifically selected Mr. Irrelevant due to his first name. With all that said, and without further ado, please enjoy responsibly! *Note, Kyler Murray (previously ranked 187) declared his intentions to pursue a career in the NFL. For obvious reasons, he has been removed from these rankings. You can find more information about most of the prospects above in the articles below. That’s a humongous list! Thank you for your service. This list is impressive. Thank you so much Mr. Roche. Where would some of the top prospects in this years draft rank? Specifially: Rutschman, Witt, Vaughn and Abrams. Adley Rutschman is a catcher for Oregon State. As of now, he is a 55/60 hit, 55/60 power prospect. For me, he would be the top fantasy catching prospect in baseball. As such, he would rank ahead of Francisco Mejia, between 17-25 overall. Bobby Witt Jr. is a high school shortstop who recently dominated in the Pan-Am tournament (.576/.615/1.121), earning MVP honors. A rough summer performance had many questioning his hit tool. Those questions are beginning to abate. As of now, he is a 45/50 hit, 55/60 power, 55/60 speed prospect. This is similar to Jazz Chisholm with slightly more speed upside and slightly more risk. As such, he would rank around Chisholm, probably ahead. Witt Jr. will rank higher on real-life lists due to his defensive ability. Andrew Vaughn is a first baseman for Cal who was a God last year (.402/.531/.819, 23 HR, 4/4 SB/CS 18/44 K/BB) and briefly in the Cape Cod League (.308/.368/.654). He is my favorite hitter in this draft class right now. As of now, he is a 60 hit, 60 power prospect. For me, he would rank behind Alonso, ahead of Lowe, and neck-and-neck with Rutschman. As such, he would rank between 17-25 overall. CJ Abrams is a speedy high school shortstop with lauded hitting ability. As of now, he is a 55/60 hit, 40/45 power, 70/75 speed prospect. He is somewhat similar to Xavier Edwards overall, with more pop and less speed. As such, he would rank around Edwards, probably behind. Obviously, a lot can change between now and even March. I will provide a full ranking of 2019 Draft prospects in the coming months. Amazing list, always appreciated. As being a bit partial on the topic, but well aware of his lost status among prospects, I’m a bit suprised Alex Hansen didn’t make into even top500? I did strongly consider him for the backend of the list, but there were just too many other arms I preferred. In a points league would you make any major changes to the top 20? It depends on the scoring. For most points leagues, all pitchers and players with less over-the-fence power receive a boost (i.e., Nick Senzel, Royce Lewis, Andres Gimenez, Luis Urias). As such, I would prob move Whitley up to around 5th overall, drop Adell and Alonso a little, slightly move up those all-around hitters. Where would Tyler O’Neill rank on your list if he were eligible? Thanks, Nick! Some sites rank O’Neill as a prospect because he only has 130 at-bats (1 short of limit), but he exceeded rookie limits last year with more than 45 days on the active roster. If he were eligible, he would rank 26th, between Mejia and Robert. Once again, appreciate the work you put into this. 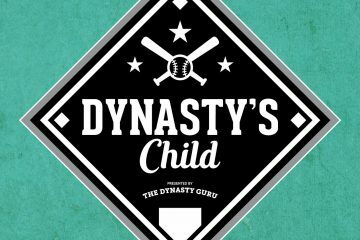 Curious to know who you would take in a dynasty league between Wander Franco or Bo Bichette and why? I love that Wander is so young, and has tons of upside. Seeing him pegged as the next big prospect has me excited. 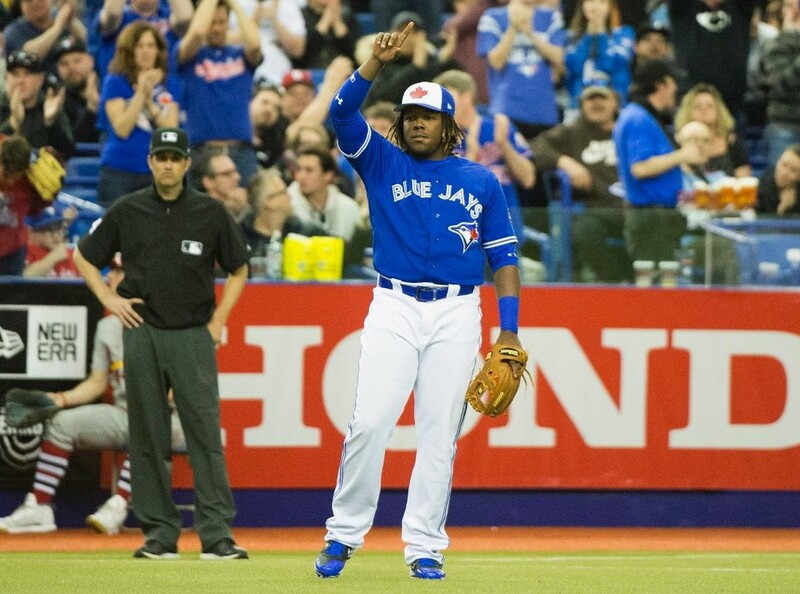 Bichette has more of a track record than Franco, but I feel like he is overlooked, being in Vlad Guerrero Jr’s shadows. I would take Wander Franco. Franco has far more upside imo. His tools project to 65/70 hit, 55/60 power, 55/60 speed, at least a half grade better than Bichette across the board. In fact, no prospect other than Vlad Jr. can match Franco’s upside. Meanwhile, Bichette projects to 55/60 hit, 50/55 power, and 45/50 speed. Despite stealing 32 bases in Double-A, he possesses only average speed, and some grade him fringe-average. The power did not truly show in the difficult Eastern League, but he was one of the youngest in the league and, by all accounts, he has plus raw power, which should play to at least average in games at maturity. Franco does possess more risk given his youth and proximity, but some even believe he could debut in the majors as soon as 2020.